Mildred Louise Snow passed away peacefully in Hanford at the home of Lara Allen, her grandchild on March 29. She was born to Leo Nordman and Brackie Eads in Hewitt, Oklahoma on May 26, 1927. Mom was proud she grew up in Healdton, Oklahoma and visited often. Mom used to say about the Nordman family's Grapes of Wrath adventure was that people thought they were rich because they had two mattresses on the roof of the car. Shortly after the family arrived in Delano, she met a young man named Ray Snow. Their marriage resulted in four boys Randall, Russell, Richard and Roger born from 1948 to 1952. She was always known for her common sense raising her four boys. She was very proud of her boys! And then she loved all of her daughters-in-laws! Another “El Rancho Mom' is gone, leaving their legacies on the subdivision east of Hanford behind the first Me-N-Eds in Hanford. Always there after the games of Hanford High and remember Dad only one time needing to let someone know he was an officer and had ID and where was theirs. One of her toughest times was when son Randy was in Vietnam. Ray and Louise made a hurried trip to San Francisco with tears in their eyes upon his early discharge. Three of the sons also went on to long law enforcement careers. Although her first job was a waitress, she later earned her Associates Degree and went on to start working at Fresno County Library, then over 30 years in educational libraries (Lemoore High, Kings River Elementary, West Hills College). At Lemoore High, she was an unofficial Counselor helping many students deal with young adult life. She retired from Lemoore High School undefeated as Arm Wrestling Champion defeating many high school football players in the process (to the chagrin of many). Louise remembered most every student who visited her libraries and called most by name years later when paths crossed again. Mom was very proud to be a CHP wife and made many friends with the other wives. Mom took great care of Dad when he retired from the CHP from a disability. Mom also served on the Kings County Senior Senate, Kings County Grand Jury and the Board of Directors for the Kings County Commission on Aging, also serving as a Volunteer Ombudsman. Mom received the Kings County Peace Officer Special Recognition Award in 1976 for her contributions to law enforcement for supporting her husband and three sons. There were plenty of times she was needed at home to referee fights. . And we all knew if she said, “wait till your Dad comes home”, she meant it. And Dad always did take care of it. Mom went above and beyond during this time as Dad was patrolling the roads of Kings County all hours of night and day and during holidays, birthdays and school events etc. and while he was away representing the CHP Officers statewide as President of the CAHP in Sacramento. Dad's Nephrologist credited Mom with extending Dad's life with her loving care and cooking. We now have her voice joining Dad's with advice from Heaven in our ears. Preceding Louise in death were parents Leo Nordman and Brackie Eads, Husband Ray Snow; brothers George and Doyle Nordman; sisters Wanda Philpot and Nancy Pattinelli; daughter-in-law Jamie Snow; grandson Nicholas Snow; and dear longtime close friends Katherine Vierra and Opal Herrin. Surviving family includes her sisters Ruth Nordman and Patsy Garcia and brother Harvey Nordman; sons Randall (Linda), Russell (Bonny), Richard (LaDonna) and Roger. Grandchildren she always loved and supported were Darla, Holly, Jacob, Trisha, Kristen, Justin, Kindra, Kaylene, Lara and Kari. 21 Great Grandchildren, 5 Great Great Grandchildren and one more on the way. And finally, many thanks to Dr Soloniuk-Tays, her NP Wendy Batchelor, Dr. Reddy, Dr. Araim and Sojourn Hospice for their excellent care of Mom. Special thanks to Jay Rubalcava and People's Funeral Chapel. In lieu of flowers, donations may be made in Louise Snow's name to the California Association of Highway Patrolmen Widows and Orphans Trust Fund P.O. Box 161209 Sacramento, CA 965816-1209. Visitation will be at People's Funeral Chapel 501 N Douty St Hanford on Tuesday April 16, from 6 – 9 pm. Funeral services will be Wednesday April 17, at 10 am also at People's, followed by Graveside services at Grangeville Cemetery 10428 14th Ave Armona. Reception to follow at Hanford Fraternal Hall 1015 N 10th Ave Hanford. Please join the family in remembering Mom as she would want. Former Kings County Administrative Officer Milton Douglas McCoy, 85, passed away on March 21, 2019 in Traditions Memory Care at Oakmont of Fresno. Born on Jan. 4, 1934 in Warrenton, N.C., he is preceded in death by his beloved wife Violet (Vi) of Fresno and his parents John McCoy of Michigan and Ethel Wright Richmond of North Carolina. Milton, who was known by his colleagues as Milt, his West Coast family and friends as Mac and his southern cousins as Jack, attended John Graham High School in Warrenton, N.C. (Class of 1952) before joining the U.S. Air Force. He served for four years. While stationed at Castle Air Force Base in Merced, he met the love of his life, Violet Campos, whom he married in 1958. 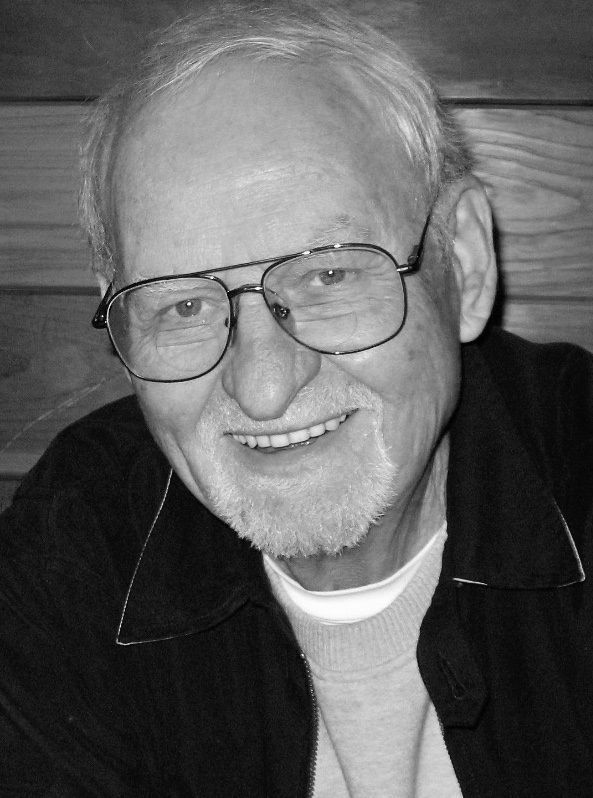 After receiving his Associate of Arts degree at Fresno City College, Milt earned a Bachelor of Arts degree in public administration from Fresno State College in 1961. He went on to have a distinguished 36-year career in public service, starting as an administrative analyst for Fresno County before moving on to positions of increasing responsibility for Ventura and Solano counties. In 1972, Milt embarked on what he would later call the most rewarding journey of his professional life when the Kings County Board of Supervisors selected him to be the county administrative officer. He would hold this position for an illustrious 21 years. Among his noteworthy accomplishments were several major construction projects such as a new county government center complex in Hanford as well as courthouses, sheriff substations, libraries and two state prison facilities. He also oversaw the installation of critical water and sewer lines in Corcoran. Through the years, Milt remained a man of simple pleasures. His greatest passions were fishing along the banks of local rivers, watching Westerns, listening to music and spending time with the family dogs. He was also known to read espionage novels, sometimes two at a time, until the early morning hours. Of all the things he loved most, Vi and his children were at the top of the list. For several years after they retired, Milt and Vi spent a lot of time traveling across the U.S. and abroad, often with their daughters and their families. Milt often said he was the luckiest man alive to have had a career that allowed him to help make others' lives better, a loving marriage to his best friend and three daughters who meant the world to him. He will be greatly missed. Milt is survived by his daughters Kelley of Fresno, Shawna McCoy (Shana Just) of Sacramento and Tracey Hanson (Erik) of Elk Grove; three grandchildren and one great granddaughter; and several cousins, nephews and nieces. The family wishes to thank the staff of Traditions Memory Care and Hinds Hospice for the exemplary care and compassionate support they provided during Milt's final months. In honor of Milt's lifelong love of all animals, especially stray and unwanted dogs and cats, memorial contributions can be made to the Kings SPCA Halfway Home, 9071 16-1/2 Ave., Lemoore, 93245. Jennie Bahler, born in Hanford to Dutch immigrant parents, Bastian and Marie Roubos, on July 25, 1918, passed away on March 4, 2019. She is preceded in death by her husband, Wendell, and two siblings, Nellie Kuckenbaker and John Roubos Sr. She is survived by her sister Anna Kuckenbaker and two children and their spouses, Don and Melanie Headrick of Visalia, and Bruce and Marlene Bahler of Henderson, Nevada. Also surviving are four grandchildren and six great grandchildren. The family thanks Vera Houston who lovingly cared for Jennie in the last years of her life. John Louis Schuck was born February 1, 1933 to Edward and Dorothy LaVoie Schuck and slipped into eternal peace to join his wife Linda on March 8, 2019. Due to the death of his mother in 1937 he and his younger brother Frederick were adopted by their Aunt Clara and Uncle Fred, gaining a sister Catherine Schuck Brown. His family consisted of five brothers, Edward, William, Robert, John, Fred, and one stepbrother, Ray Friestead. He graduated from Clinton High School in 1950. John was married to Elaine Springer from October 1955 until August 1984, when they divorced. They had seven children. Susan, Kevin, Sandra, and Timothy are still living. Laurel, Cynthia, and David preceded him in death. John is survived by his brother Fred Schuck, four children, ten grandchildren, two great-grandchildren and numerous other family and friends. He joined the Navy in 1952, and served twenty one years, including two tours in Vietnam aboard the Bon Homme Richard. He retired with the rate of ATCS. In civilian life he worked for Lockheed Aircraft, modifying A-4 Skyhawks for the Singaporean government. He entered civil service with South Pacific Fleet in San Diego , specializing in aviation electronics on ships which included the Midway; retiring in 1995. His retirement activities included golfing, pinochle and cribbage games, and dancing at the Navy Fleet and Elk Lodge 186. 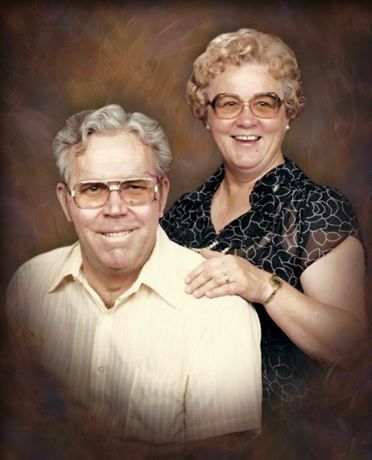 In January 1988 he married Linda Keen and they lived happily until her death in 2009. Interment with military honors will be at Fort Rosecrans National Cemetery. In lieu of flowers donations are requested to DAV or the Wounded Warrior Project.